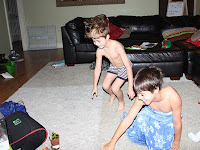 12 Things I Loved About Christmas 2012 Linky Party! I'm sure you guys are thinking I'm a little obsessed with posting the last few days but I promise I have not gone insane. Since school is out this is a perfect time for me to be a full time blogger. :) Anyway, on with the post... 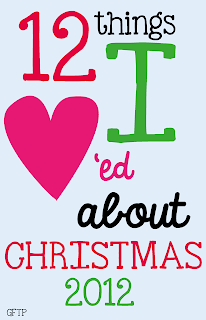 I am linking up with Mel at From the Pond to share 12 things I loved about Christmas 2012 and you should too. I enjoy getting a sneak peek at the personal life of the person behind the blog and what better way to do this than to share the things we loved about this past Christmas. Simply click on the picture below to head over to From the Pond and join the linky. 1. The birthday of Jesus Christ-Christmas is always a time that I evaluate my relationship with the Lord above and thank him for the many blessings in my life. 2. Spending time with family members that I don't get to see as often as I would like. Now that we have children of our own we love to talk about things we did for Christmas as children. 4. I loved indulging in holiday candy (cordial cherries are my favorite) as well as baked goodies. I am not a baker but I do love to make chocolate covered treats. My signature is chocolate covered pretzels but I will dip just about anything. 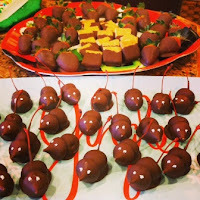 Here is a picture of my chocolate covered items I made Christmas morning-chocolate covered strawberries, chocolate covered cherries (mice), and chocolate covered graham crackers. 5. I also loved the feeling I had each time I gave someone a gift (especially those who were not expecting it). I have always been a giving person but the first Christmas that I had my own children I realized the true meaning of giving gifts. I realized that not receiving any gifts but giving many away is the most humbling experience. This is a picture of the presents under my Christmas tree-I never have enough room under that poor tree. 6. The smiles on my boy's faces when they run into the living room on Christmas morning! Priceless! 7. Wrapping Presents..most people find this to be a chore but I find it somewhat therapeutic. Plus I always enjoy activities that allow me to be creative. I had to take a picture of this one-I was very proud of it. I made the bow all by myself (I usually use store bought bows). 8. Our classroom Christmas tree-I give students full control of what goes on the tree. 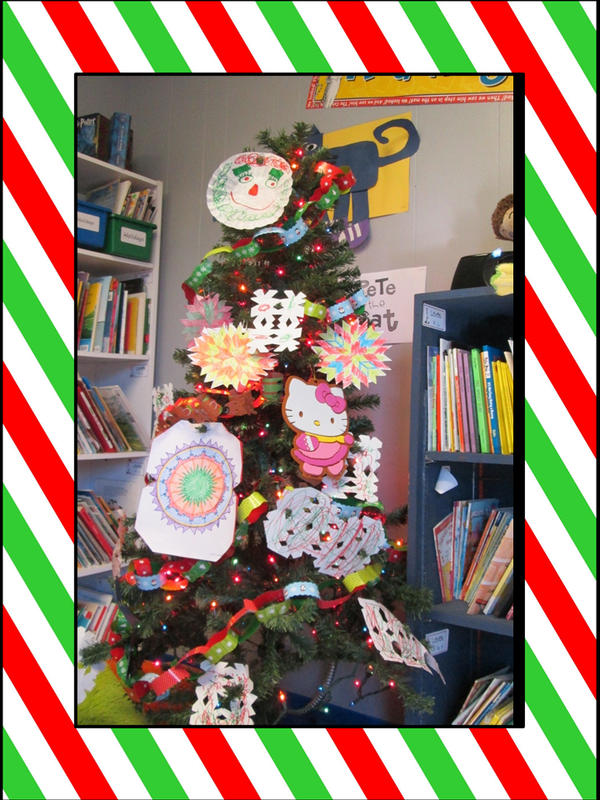 By the time our Holiday break comes the tree is always a true masterpiece of student work. 9. Holiday inspired (Starbucks) coffee and drinking it from a holiday mug in front of my fireplace. 10. Sitting in my living room playing board games with all the lights out except for the Christmas tree and garland lights admiring our beautifully decorated home. I could just stare at my decorations forever. I feel an enormous sense of peace. 11. 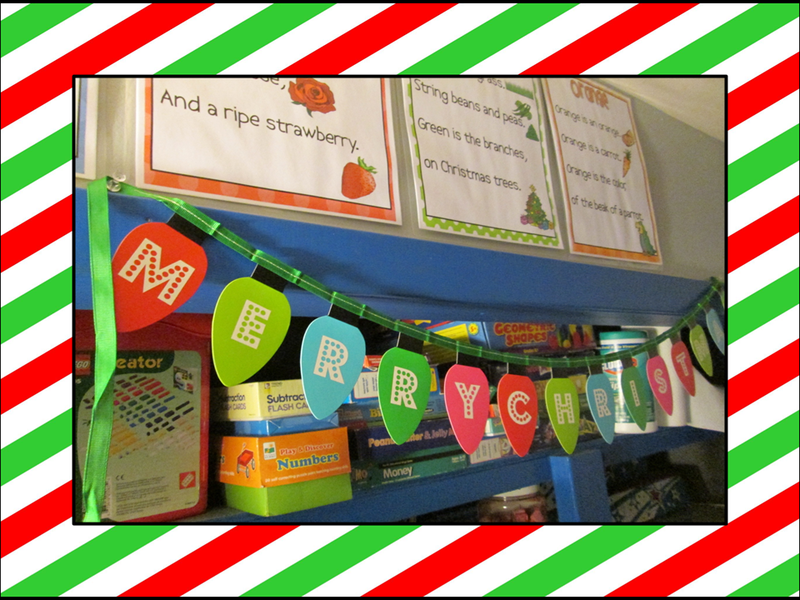 I loved being able to spend the Christmas season sharing resources and ideas in the blogging world. And for that I am thankful. I began blogging only 3 months ago so this was my first Christmas sharing with wonderful people. To each and every one of you that has made me feel welcome, I say "Thank You" from the bottom of my heart. (If you have never heard of my blog, feel free to check out the rest of my blog and follow me if you would like. 12. My TpT store- It was also my first Christmas as a TpT seller and wow I just love it. I love being able to share products that I create with everyone. I enjoy making products with a holiday theme (if you follow me, you already know this is true) and I also enjoy sharing Freebies in my store. Plus the little bit of extra income is always a plus. Since my TpT store is the thing I loved the most about Christmas I think it is only fair that I share a freebie with you. Click on the picture below to download your copy today. Thanks for taking the time to read about why I loved Christmas. I hope you will click the Linky Party button at the beginning of this post and join us by linking up. I love reading feedback and comments--feel free to tell me what you think. Many wishes for a blessed, joyous, and prosperous 2013. I am humbled by the joy I can and do bring to other educators when I create and offer a FREEBIE! Since the day I walked through the door of my very own classroom for the very first time, I realized and continue to realize the importance of collaborating with other educators. Sometimes the smallest suggestion from a colleague will spark something huge that helps me to push to be the best that I can be for my students. 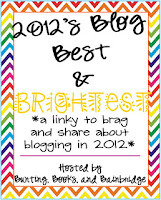 Collaboration is the reason that I am linking up to My Favorite Freebie Linky Party hosted by Cynthia at Second Grade Pad. It is my turn to give back in honor of all those who gave to me throughout the years. This Freebie is a sample of my larger set(and bundle) that are in my store. It contains activities that compare and contrast the silent "e" word families -ake & -ine. These activities involve higher order thinking, reach all learning styles, and are aligned with the Common Core State Standards. 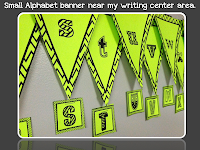 They can be used during whole group, small group, or independent learning. On the first activity page students will read the ten sentences. As they read, they will come across words that end in -ake and also -ine. When they find a word from these word families, they will circle it. After they are done reading all sentences and circling all words they will fill in the T chart at the bottom. They will write each word they circled under the correct heading so that the words are classified according to their rime. 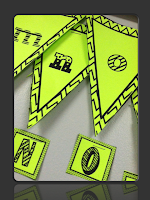 For the second activity students will cut apart all word card pieces. At this point students can create some type of hands-on activity (use your imagination). My students have simply glued them together onto construction paper, played memory match (after student flips 2 cards if they can be put together to create a word they keep the cards), and one more fun activity is to give each student a card and instruct them to work together to find another student that they can combine their card with to make a correct word. 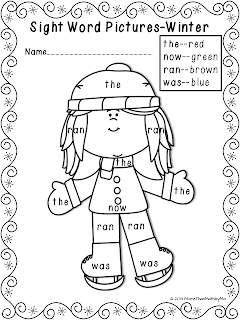 After each leaf contains a word, students will color the bare tree and glue all leaves onto it. 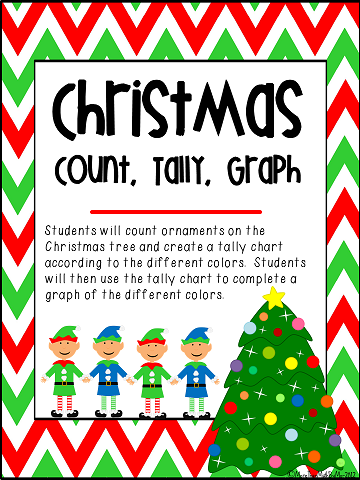 Trees can be used to decorate a bulletin board, to display near the writing center to be used as reference, or students can keep in a special place for reference at their desk. This is my current favorite for many reasons. I love teaching word families. I don't know exactly what it is about them but it has always been one of my favorite skills to teach. It is also my favorite because I feel it offers more content then my other freebies. This could be enough work for an entire week of activities and it is free! I also like the design of each activity. I feel the format is very "kid" friendly. The final reason I call this my favorite is because the activities were created with ALL learning styles in mind. The activities vary in order to meet the needs of each and every student that completes them. I hope you and your littles enjoy this freebie as much as I do. 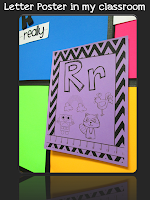 To find more freebies or link up your own favorite freebie, click on the picture to the left and hop on over to 2nd Grade Pad. Click on the picture (or product title) above to donwnload your copy now. 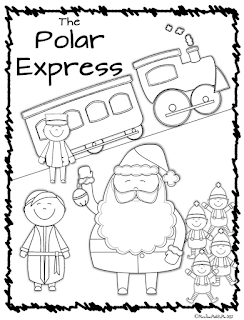 This FREEBIE includes 3 winter themed printable activity sheets. Each printable includes 4 separate words from the Dolch Primer Sight Word List. The words include the, was, now, saw, well, ran, who, new, must, soon, ate, & say. I have included teacher instructions, oral directions, and suggestions for differentiating the activity to meet all students needs. I hope you enjoy this product. I love to hear feedback in order to help me to make my products better so feel free to leave a comment here or provide feedback on TpT if you download the product. Have a great day! Check back tomorrow as I switch gears from Christmas to winter and snow. I will be giving away my first winter FREEBIE. I apologize for being so late with this post. I have been feeling under the weather otherwise I would have posted sooner. 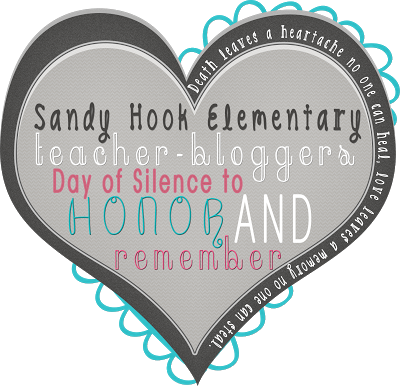 Before you read this post, please stop for a moment of silence in honor of the sweet babies as well as fellow educators that are now celebrating Christmas in the arms of our Lord. Although this tragedy is still fresh on our minds, I believe that those angels above would not want us to stop our lives but yet would want us to continue to spread joy and cheer during this holiday season. Monday was Polar Express Day at our school. 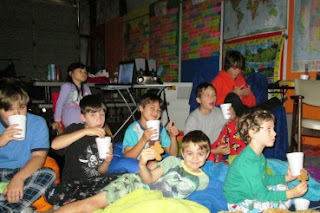 Students wore pajamas and enjoyed hot cocoa while watching the movie. For this day, I created a simple color sheet. The younger students simply showed off their coloring talents, while the older ones completed a writing activity then added it to the color sheet to decorate our classroom. Click on the picture to get your free download. 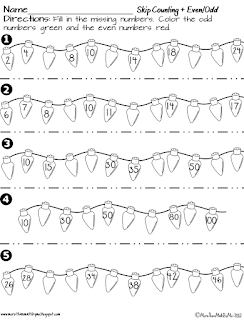 Today's freebie is a math printable for students to work on skip counting skills as well as determining even and odd numbers. Click on the picture to get your free download. I am deeply saddened by the horrible tragedy that has taken place in our country today. My prayers go out to all those involved and to those who were taken from this Earth today, especially those sweet babies who now rest in the arms of our Lord in heaven above. If you are reading this post, please stop everything and tell the people you love how much they mean to you. Hug your babies just a little tighter, no matter their age, and remember that tomorrow is a gift, not a promise. 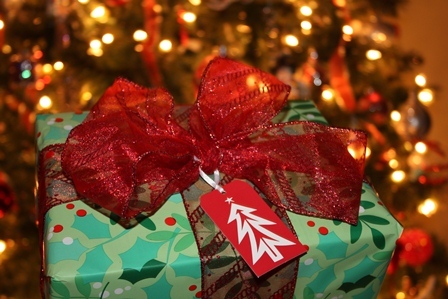 Have you finished your shopping yet? Are you ready for the busy days at school leading up to the holiday break? I'm sorry I can't help you shop, but I can help you plan for the final few days of school with this super cute Friday Freebie. It's super cute (in my opinion) and super easy to implement the activity. 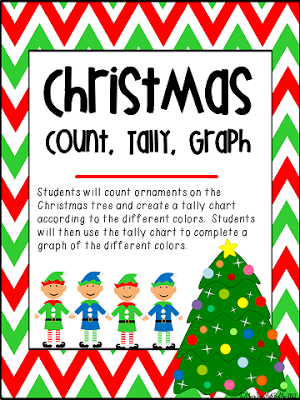 I have enjoyed creating Christmas activities but I am "almost positive" that this will be my last Christmas freebie. I hope you enjoy. Students will work on various reading skills including comprehension. 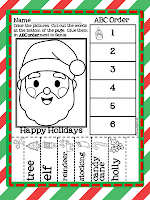 Students will match bright and colorful Christmas picture cards to sentence cards that belong with the picture. 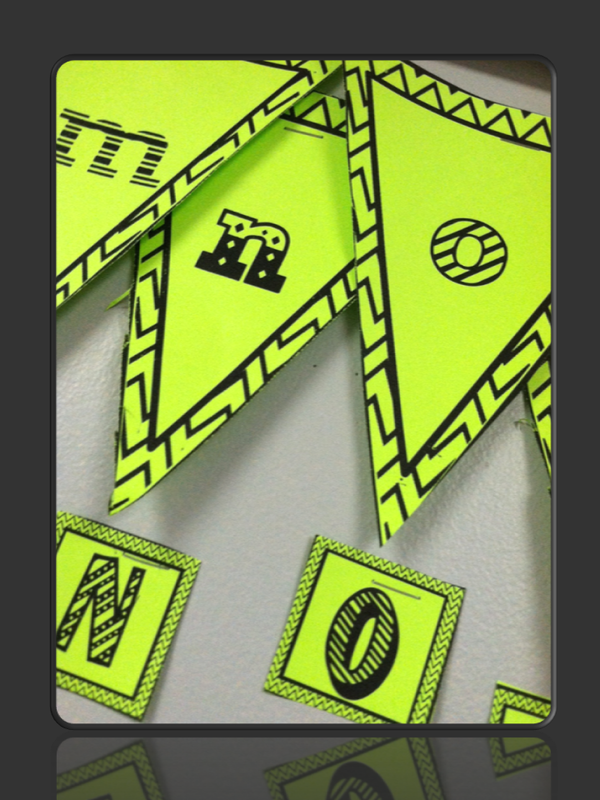 The download also includes printables that can be used to reinforce the skill or used as an assessment. See preview pages below. Click on the picture above to download. at, an, et, en, it, ig, ot, op, ip, un, ug,and ut. I have included many pictures throughout the set for students who may still need visual cues. I have received such positive feedback from my past holiday patterns unit (and I have tons of amazing Christmas clip art-by Ashley Hughes) so I figured I would make another Christmas set. This set is smaller but still has everything that you need to teach or reinforce patterns. I know-I know-long title, but I just had to use the three F words-find, five, family and this is the shortest title that I could come up with haha. Let me just say I love stars and I found a way to incorporate them into word families with a word for each point. This 40 page set provides you with many options in sorting words according to their word family. The following picture shows a snipet of the center activity in use. This set is perfect for students who are transitioning from numbers sense to simple addition. 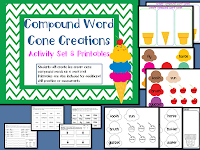 It includes puzzles, word wall matching game and printables. The activities are sure to please your little ones! Now for the important part-------the Giveaway!! 1. My favorite holiday by far is Christmas! What is your favorite holiday? Leave a comment on THIS post telling me what your favorite holiday is for a chance to win a free product from my store! Winner(s) will get to choose ANY product that is currently available for purchase at my TpT store! 2. But wait, it gets better. The more comments I receive, the more winners I will choose. The number of winners will increase by 1 for every 15 comments I receive. For example 1-14 comments=1 winner, 15-29 comments=2 winners, 30-44 comments=3 winners, etc... so spread the word about the giveaway to increase your chances!! 3.Also... Tell your friends to visit my blog and leave a comment stating that you sent them and your name will be put in the giveaway again! ( Your name MUST be included in their comment for it to count) For example: Send 10 friends my way and they say that you sent them, your name is now in the giveaway 11 times!! **Comments will be counted from now through Wednesday, December 12, 2012 at 10:00 PM Central US time. A winner will be announced here and in a new post on Thursday morning. Good Luck! What happens when your funds for color printing are gone? What happens if the only color printer you have access to breaks? 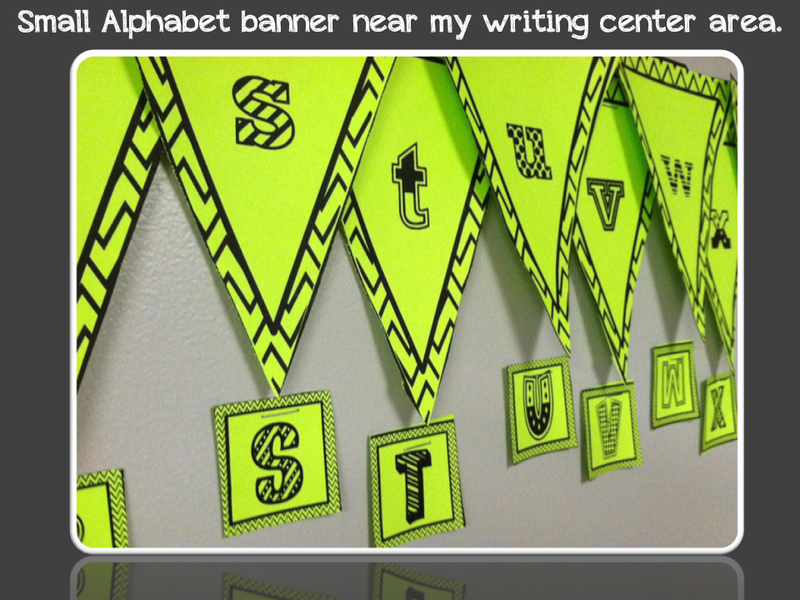 Students would get tired of seeing centers filled with white paper pieces, black and white game boards, black and white posters on the wall. 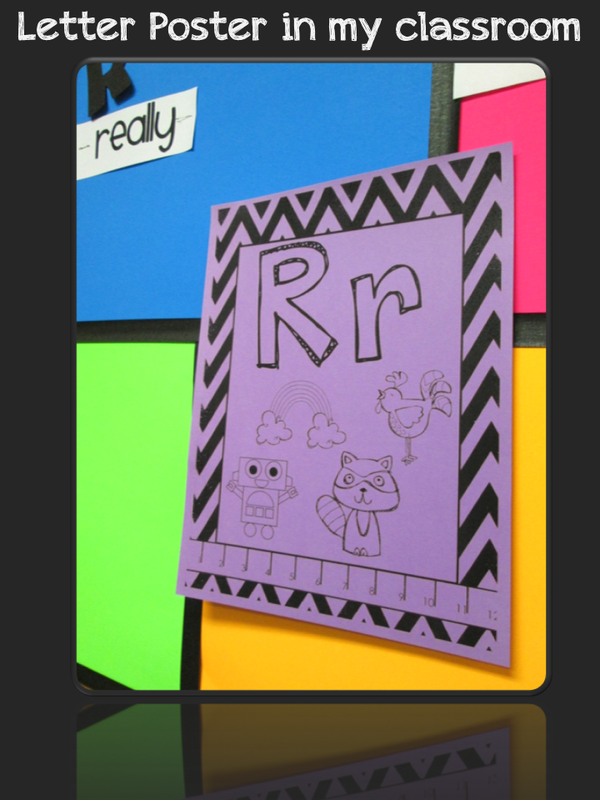 In this post I will share with you one way to bring the color back to your classroom. There's nothing like a FREEBIE to stretch a dollar. 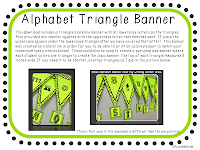 If you would like to test out the tip I shared in this post, click on the picture below and head over to my TpT store and download your free copy of my Alphabet Triangle Banner Set. If you have anything to share on this topic or questions to ask, please feel free to comment below.